Few scholars have the expertise, let alone the confidence, to embark on a new translation of the New Testament for Latter-day Saints. Fortunately, Thomas Wayment has enough of both. When Wayment sat down for this conversation with Terryl Givens, he was a professor of ancient scripture at Brigham Young University, but has recently moved to teaching classical studies at the university. His new translation was published by Deseret Book and the BYU Religious Studies Center—just in time for the church’s 2019 focus on the New Testament. This conversation focuses on his new translation and new perspectives he gained during the process, including some surprises. Wayment’s book, The New Testament: A New Translation for Latter-day Saints is available on Amazon. BLAIR HODGES: Welcome to another episode of Maxwell Institute Conversations, with Terryl Givens. This episode features Dr. Thomas Wayment of Brigham Young University. A lot has changed for Thom since this interview was recorded last year. He was a professor of ancient scripture, working on a new translation of the New Testament intended for Latter-day Saints. Now he’s teaching classical studies at BYU and his translation has been published by the Religious Studies Center and Deseret Book, just in time for Latter-day Saint Sunday school’s focus on the New Testament. TERRYL GIVENS: I want to hear about the experience of rendering that translation. I want to know if you can kind of summarize any of the key findings or patterns that were new to you in your own working through the Greek. HODGES: Find out how Thom Wayment reckoned with this and other interesting facets of the New Testament in this episode of Maxwell Institute Conversations, part of the Maxwell Institute Podcast and sponsored by the FaithMatters Foundation. TERRYL GIVENS: Hello and welcome to another Conversation. My name is Terryl Givens. My guest today in the studio is Thomas Wayment, a professor of New Testament studies at Brigham Young University. Happy to have you with us today. You’re our first biblical guru that we’ve had. THOMAS WAYMENT: Well thanks. Good to be here. GIVENS: We’d like to start, Thom, by getting to know you a little bit. Talk a little bit about your background. If you could give us kind of a quick trajectory of your spiritual and intellectual formation. I’d be curious to know especially what seminal moments or events in your life moved you in the direction of something like New Testament studies. GIVENS: And where was this? WAYMENT: This was at Riverside, UC Riverside. WAYMENT: I pulled him aside after class one day and I just said, “Hey, Professor Jackson, what do you do?” He was a New Testament professor and he kind of opened doors for me. He was a professor also at Claremont and I just wanted that same passion, and I had that instinctively in my own religion, but I didn’t have it for my academic subject. GIVENS: What was the course? WAYMENT: This was a Plato course. We were translating Plato. When he had a word that was fascinating to him he just, wow, it just opened up a whole sense of meaning. He would quote things like the Bible and other things in the New Testament in explaining these words. GIVENS: So were you a classics major? WAYMENT: I was. I graduated from classics, but he shared with me—this was my fourth year of study—and he said the best training for a New Testament program is classics. He said that would open up a lot of doors in academia, and sure enough I applied with his encouragement and was accepted into a PhD in religion, New Testament studies, at Claremont. GIVENS: Now were you already a Latter-day Saint? WAYMENT: I was. Served a mission in Italy. Grew up Latter-day Saint in Southern California. WAYMENT: We have similar experiences in that sense. It was his raw passion, and when you got him talking about religious aspects of ancient Greek history, or even New Testament, you could just tell that’s what drove him. Probably really, and this kind of gets to where my faith journey began, I was a believing Latter-day Saint and I had served a mission and was recently married, and I started this program of religion and immediately am faced with contradictions to my own religion. So I perpetuated certain historical narratives, both on my mission and otherwise, about how early Christianity worked. Immediately I had people like Jim Robinson and especially Burton Mack, who is kind of controversial and confrontational through traditional faith, and he’s trying to disrupt faith narratives and I started to compartmentalize. I think it’s a coping strategy that so many young grad students use to say, “I don’t understand that right now, put that on the shelf,” but it quickly became apparent to me that I had a whole room and this room, I had to close the door and I had to kind of exist in a world where I believed but I also had these things that I couldn’t deal with at that time. GIVENS: Now you probably know Bart Erhman’s experience in this regard. GIVENS: He’s spoken and written about that. Bart Erhman’s probably the most, would you say maybe the most famous New Testament atheist scholar? WAYMENT: Yes, yes. And maybe agnostic. I don’t know. Sometimes I read him both ways. GIVENS: But he famously describes this discontinuity, this cognitive dissonance that he resolves by just jettisoning his Christian beliefs. GIVENS: There is something simple about that. GIVENS: So yeah, so talk some more about how you’re working through this, what kind of anguish you went through in the process. GIVENS: So can you expand a little bit on what you mean and how you have experienced the Jesus of faith as a problem? WAYMENT: I have. That’s what was happening up until that moment, and has continued to happen, is I realized in my faith, Jesus of history and the Jesus of faith were the same thing. They were always existing in the same sphere, and as people pointed out, like in Mark 3, Jesus becomes angry. It didn’t fit my idea of a Jesus who was compassionate. He grows angry. The next three verses later it says that he’s out of his mind, and that didn’t fit my idea of a Jesus who was both continuous in his divinity to humanity, to post-resurrection, and a lot of things like disciples who don’t understand, Mark and disciples, and these were always confronting my Jesus of faith and I wanted to correct the Jesus of history by the Jesus of faith. GIVENS: So in other words you wanted to read the Bible through the lens of a Mormon testimony. WAYMENT: Yes. I was doing that. I don’t mean to be a nihilist in this sense, but that’s not a productive way forward. I found something in Riley that was just powerful for me. There’s something powerful, real, tangible, believable, about the Jesus of history. For the first time I realized that maybe the Jesus of history could help inform my faith, rather than reverse. It opened up a whole new way to think of it. GIVENS: Kind of a paradigm shift. WAYMENT: He was passionate about the Jesus of history. When I spoke earlier of Professor Jackson, passionate about Greek, Riley was deeply passionate about Jesus of history. GIVENS: One of the themes that seems to emerge in so many of the conversations we’re having is that as Latter-day Saints encountering a secular world, an academic environment, we feel threatened or challenged. We see the confrontation between evolution and Adam, or the documentary hypothesis, or our understanding of the Old Testament as a threat, as a moment of crisis. What I love about what I hear unfolding here with you is that you’re describing this as an opportunity, as a window that opens up into beautiful new possibilities, rather than a fearful retrenchment. The other thing that really helped me—and I hope that this works for others, but it worked for me—is I had spiritual experiences in my life, I’ve since had them, and I refused to renegotiate those, to reconceptualize those, and to become critical of them. While I shelved the historical Jesus, I also had shelved my faith experiences and protected them. So there was always a sense, I have something there, I can’t describe it fully right now, but it helped me be patient and cautious in throwing it all out, taking the easy way out. GIVENS: Can you give us a concrete example or two of something that you feel you have discovered or discerned or accepted in what you’re calling the historical Jesus, that on the surface seems to be out of harmony with the conventional narratives that we tell in our own faith? WAYMENT: Yeah. I hadn’t thought this through before, so it may not be the best example, but it’s one that occurs to me and I wrestle with still today. I’m trying to understand this. I think Mormonism, but most faith traditions, believe Jesus has a continual view of atonement in mind from day one as a twelve-year-old young man, and maybe even earlier that from Luke 2 forward, he knows he has his Father’s mission in mind. You look at historical Jesus, he may have been crucified unaware. That “Eli, Eli, Lama Sabacthani” on the cross might be “Why didn’t you rescue me from this cross?” Those are stunningly different. Is it possible that Jesus did save mankind, redeemed mankind, but was not fully aware of where it was going? GIVENS: It’s possible, even in our own conception to be foreordained without a full knowledge of what that foreordination entails. WAYMENT: Absolutely. But would you agree that model works for humanity, but does it work equally for divinity? GIVENS: Well, we know he grows from grace to grace, and I think somehow we have jumped from there to the assumption that he reached a fullness of knowledge and self-understanding before the cross, but that’s not actually textually indicated anywhere, is it? GIVENS: This is remarkable. I wish we had Brian Kershisnik’s painting here of the descent from the cross to illustrate what you’re talking about, because he speaks very much in a similar register. He says that in his art to the extent that he addresses the theme of Christ’s resurrection, crucifixion, he says he thinks that by sanitizing those episodes of the genuine anguish that he would have experienced, as well as his disciples and maybe even the angels of heaven, we have a kind of post-production sanitization of the whole process that detracts, not from his divinity, but it detracts from the gift in some ways. Because we have diminished the real cost that might have been entailed. WAYMENT: I don’t think so many people, or very many people, ever think was Jesus as surprised by Easter as Mary was. That’s a really powerful nuance and you can see why the story, and you become very aware of this in New Testament studies, the gospels are not as sanitized as you would expect. They leave a lot of remnants of the historical person navigating his own experience. GIVENS: I’m reading a new translation of the New Testament right now by David Bentley Hart. He sets out very explicitly, he says to try to strip the New Testament of the overlays that he says really begin in the reformation and to get back to a Christ that he says is much more shocking and radical and uncomfortable, and that’s the word that he keeps coming back to. He says there’s something radically uncomfortable about this gospel that Jesus is teaching. For example, in his translation Jesus isn’t condemning love of riches, he’s not condemning obsessive preoccupation with riches, he’s condemning riches. Riches themselves are an indication that something is wrong in this world. You, I understand, are working on—or have you finished—your own translation of the New Testament? WAYMENT: I have. I finished it and am kind of navigating the publication process. GIVENS: I want to hear about the experience of rendering that translation. I want to know if you can kind of summarize any of the key findings or patterns that were new to you in your own working through the Greek. GIVENS: Okay, sorry to interrupt. But can I pause here because this is such an important topic that has all kinds of ramifications it seems to me for Latter-day Saints. It reminds me of the question of Job. Is Job a historical character? You have people saying Joseph referred to Job, so we know he’s historical. I think, well Joseph could have said “I’m as strong as Hercules” and that wouldn’t mean that he really believes in Hercules. GIVENS: In the same way, Joseph frequently referred to Paul in the context of being author of any number of New Testament letters. Many have concluded from that that an inspired prophet is telling us Paul really is the author of all those letters attributed to him. You’re saying one can be an absolutely faithful believing Latter-day Saint and not believe that, that Paul is necessarily the author of those letters attributed to him, as we typically assume, right, in lesson manuals and treatments of Paul. WAYMENT: Yeah, that’s especially true in Ephesians and Colossians. I don’t know how to kind of help capture the depth or nuance here, but Ephesians starts with a sentence that lasts ten verses. Off the top of my head I believe it’s ten verses. Wonderfully complex, good Greek, carefully articulated, and then the Paul of Corinthians, he leaves out main verbs. He wants you to supply them. He doesn’t write like that. It’s choppy, it’s nuanced, it’s really thoughtful, but the Greek isn’t really quite frankly that good. You get to Ephesians, Colossians, whole new terms. He doesn’t use verbs even to mean the same things that he uses in Romans for example. So yes, absolutely, as a believing Latter-day Saint, the meaning of Ephesians is intact. Nothing changes if Paul wrote it or someone named Apollus wrote it, or somebody named Mark wrote it. I think what we miss when we try to say it had to be Paul to be meaningful, I think we miss the primary fact that history has proven there’s meaning in this text. Latter-day Saint narrative has proven there’s meaning in this text. As a believer I find meaning, but I’m confident Paul didn’t write it. GIVENS: Okay. You discovered, at least to your own satisfaction, that authorship is different than what we had traditionally thought. What else? Anything else in terms of the nature of Christ himself? WAYMENT: This one might come as a bit of a shock, and I don’t say it to be shocking, but I came away with a much stronger feeling that the gospel authors when they speak of Jesus’ words are citing from something. There’s a real consistency in the words of Jesus, but the narrative to encapsulate that is clearly influenced by the individual. GIVENS: Are you taking us in the direction of a Q text? WAYMENT: Yeah. I’m much more convinced today that there is Q.
GIVENS: So talk a little bit about what that is for people who don’t know. WAYMENT: Very briefly, there’s a theory that Matthew, Mark, and Luke are genetically related in some fashion. There’s a lot of discussion on how that happens. One of the primary solutions today is that Mark is the first gospel written and that Matthew and Luke both borrow from Mark, adapt Mark, correct Mark, and then draw from a body of sayings that exist out there, either written form or oral, called “Q.” Q simply is an abbreviation for “source” in German. What I’m kind of hinting at here is as I get to translating the gospels, and I’m doing it fairly quickly, it’s amazing to see how poor of a writer Mark is, but then he quotes Jesus and as a translator, he has something there that he’s not manipulating. Mark misconjugates verbs. You mentioned your challenge with Greek earlier. For example, in the story of the stilling of the storm, he has a plural subject with a singular verb, if I remember it right off the top of my head. He just misconjugates it. But then when he quotes Jesus, there’s a different tone of the Greek. It’s a different way he writes it. I guess I hadn’t really seen first-person, this idea that there were the sayings of Jesus, and Mark has access to those and he adopts those. But he’s clearly writing the story to linearly develop that. Matthew comes along, obviously, and says, “I don’t really think you got the linear order quite right. I think it needs to be revised,” and Luke does even further. That really drove home to me that there’s a sense that the sayings of Jesus are what this is about, but now they’re trying to make sense of those. GIVENS: Right. Let’s talk a little bit about the Book of Romans. This is undoubtedly the most important book in the New Testament for the history of Christianity, would you agree? GIVENS: If you could just enlighten us a little bit about recent scholarship that is radically revisioning, reinterpreting the Book of Romans, a new perspective on Paul movement, which to my mind is like manna from heaven for Mormonism because we’ve been reading Paul differently from the beginning than the Protestant tradition has. Now you have first-hand experience of going back and reworking the Book of Romans from the Greek. So talk a little bit about what we should know as Latter-day Saints about this controversy. WAYMENT: Yeah. Maybe just a simple definition would be helpful, and please jump in, it sounds like you’ve dealt with some new perspective, and there’s something now emerging as the radical new perspective. So quite simply I think the question becomes does Damascus constitute a conversion for Paul? Away from Judaism towards a new religion. The old perspective on Paul is that Judaism is done away with and Paul enters a new religion to find as the way, and eventually Christianity. The new perspective on Paul defines that as saying that Paul never left Judaism, or in a way it’s more linear. There’s not a radical departure. In that sense I think people need to understand that a lot of this goes back to Barth and his commentary on Romans, the idea that Christianity has to deal with supersessionism, the idea that Judaism is, if you will, obsolete, done away with, etc. WAYMENT: An old covenant. Mormonism has a lot of that language, and the problem is it becomes justifiable anti-Semitism. If it’s done away with, if it’s obsolete, some have argued, Christianity can then allow itself to persecute. WAYMENT: Absolutely. I would actually say Mormonism has a brilliant solution, the Book of Mormon being this bridge that the old and new covenants are a covenant and it is a great solution. I think what stood in the way, and I hope people will engage new translations, is that I think personally—this is me personally—that the KJV translation of Romans has made it untouchable for Mormons, impenetrable of what it means in this language of justification and foreordination and other things, have almost made, I think, Romans unusable. GIVENS: Now is this in part because through Luther’s lens, what’s happening in Romans is that we are leaving behind the Jewish preoccupation with works, but it’s not Jewish for Luther, it’s just works. Salvation by works. We have this new covenant of grace. Am I correct in understanding that the very question, are you saved by works or grace, is a false dichotomy based on a misreading of Paul? WAYMENT: So, Terryl, yeah. This is a fantastic question. “False dichotomy” might not be strong enough. One of the things that Paul does that I think so many people have missed in this letter—and I understand there’s whole faith traditions built around this discussion and I don’t want to diminish their interest in this topic—but as a Mormon, as a Latter-day Saint looking at it, Paul is wrestling with the idea that sin has to find in himself feelings of guilt, feelings of worth, feelings of effectively evaluation of self. He does a lot of this in Romans 7 and 8, and he sees Christ as triumphant over guilt, over this challenge that the law, if we allow the law to be the only definition of righteousness, becomes effectively a dictionary of what’s wrong with you. He says we have to move into Christ. We have to move into the idea that Christ opens new vistas for us. GIVENS: But he’s not saying righteousness doesn’t matter. GIVENS: And Christ will impute his grace, and that is what is going to save us. WAYMENT: Yeah. Grace isn’t for Paul—I don’t believe—a cup that’s empty that you fill with Christ and then all of a sudden you’re full of grace. I don’t think Paul… I’m reflecting now, Riley who I shared with you earlier some of the things, he would say flippantly in class, “Why is it people in the New Testament who promote grace work harder than anybody else?” Which Paul literally says, “I have worked harder than anyone else.” That’s a really powerful notion. He was making a jab, obviously, at certain faith traditions, but it struck home with me. He’s right, something’s driving Paul, and it’s not a sense I’ve been filled grace and replaced works in my life, it’s that works are defined now with a different purpose. GIVENS: So you have some scholars today in the new perspective on Paul movement, some who have reviewed, for example, David Bentley Hart’s translation, who have said what he demonstrates with a more accurate translation that isn’t viewed through the reformation lens is that the reformation project is not “biblical” in the way that it was thought. You have some people in this movement who are actually saying was the entire reformation a mistake. Now it seems to me, with all due respect to our Protestant brothers and sisters, and recognition of their goodness and the value of many of Protestantism’s founding ideas, but basically this new perspective about Paul suggests that Latter-day Saints had it right all along, and that Catholicism was in most instances, in this regard at least, closer to a true New Testament understanding of what Paul was about than Luther and his successors. Is that accurate? WAYMENT: Yeah. I mean, obviously it’s a very complex narrative and I want to pick just a few threads out of that. Obviously I don’t want to comment, I’m not a reformationism, when we get that far I think there’s some stories there that I don’t fully understand the background to. But if I think about what you’ve asked, what’s the historical relationship of Romans and its representation of Pauline faith and then how has that been interpreted in how Mormons react? My sense is that what Paul is doing is saying that there are recoverable elements of Judaism that need to continue on, concept of community of faith, that’s very important in Romans. He deals with this foreordination or predestination concept; he deals with Israel as a people, but he can never get away from the notion that Gentiles need to be in the house of Israel. He doesn’t want to get rid of the idea that there is an Israel. GIVENS: But see, are you aware of the extent to which you’re channeling Joseph Smith? GIVENS: I mean, this is what’s so remarkable to me is that Joseph Smith somehow was immune to that Protestant revisionism of Paul and he’s reading Paul in that same way. That’s why in the Book of Mormon it’s like “no, we need temples, we need covenants, we need Israel to somehow be assimilated into this new gospel context.” Even the priesthood offices of the Old Testament, the ordinances and sacrifices, this complete assimilation, not a succession of one by the other. I don’t know what your thoughts are on that. My sense is he’s either saying that at one time I was completely disobedient, or he’s saying at one time I was living the law, but not the law in the way Christ would have me live it. That’s a powerful revision of Judaism. Judaism had much to offer, but lived without Christ it’s not what it could be. WAYMENT: Which I think the Book of Mormon offers this perspective. The law lived in Christ is a different thing than the law lived. GIVENS: Would it make sense to say, for example President Uchtdorf in a recent talk said that as Latter-day Saints we have to recognize that salvation is not bought with the currency of obedience. In other words, the law isn’t something we fulfill in order so that God can dispense salvation. But if we’re living the law in Christ, then we are letting it shape us and constitute us into Christlike beings. I think that’s how I like to see the law. It’s not a set of requirements we fulfill, it’s the tutor that shapes and molds us. WAYMENT: Going back to this translation that I did and the insight that I gained, I documented, I believe, all of the echoes of the New Testament in the Book of Mormon and list those in the footnotes. One of the things that’s interesting in this topic on that is that much of First and Second Nephi is influenced by First Corinthians language on salvation and bodies and how righteousness is defined, and his famous statements on works and whatnot are Corinthian in their nature. GIVENS: So what do you make of that? WAYMENT: So one thing I make that the prophet Joseph Smith obviously has language with KJV in his vocabulary and that comes through in the Book of Mormon. But I think primarily if we’re thinking about the Corinthian context, in particular how is righteousness defined, it’s very clear to me that First Corinthians is a problematic event for Paul. He has this wonderful spiritual field ministry there, he departs, he finds out that the church is now involved in some pretty reprehensible behaviors. He’s really reprimanding the lowest common denominator, and to take that setting and then say from that we’re going to extract our definition of works and grace, I think we have to at some point realize that by definition that’s not, if you will, an abstract mission statement of how faith is obtained. That’s telling people that are struggling here are some points you need to observe. So these famous statements, you know, “we’re saved after all we can do,” and that, I think is almost if you will, reprimand. Maybe not as much here is how I would say it to someone who had never dealt with the Corinthian problems. So it changes the way I guess I read, and strangely by the way you see it in Alma when he’s reprimanding his son, Corinthians comes back into that language heavily. You see it in those places. GIVENS: Let me back up and ask you just a couple of general questions. What would you like to see happen that would improve our engagement with the scriptures in formal settings at church? WAYMENT: I can only speak for myself. One of the challenges to me as a bible scholar, and this comes full circle from where we started, is that Mormonism has promoted a very clear historical narrative for how bible works, how the Old Testament works, etc. I think people wrestle with faith when they find out that history doesn’t fit that narrative well. So they judge things by this is the narrative I read in books and in manuals and I was taught, and when something doesn’t fit it then they’re willing to say wow, my faith has misrepresented this, it’s not nuanced, it’s not careful. One of the challenges with that in my opinion is it’s unnecessary. I have confidence in history, but I know it’s going to change. We all know as historians, historical records are very spotty and so we piece it together the best we can, but if the historical record is radically revised, my faith still remains intact. I think we need to get away, is what I’m saying, from the idea that if the Book of Mormon’s historicity if you will is different than we thought, if the New Testament Jesus is a little different than we thought that we somehow can’t have faith in that; that faith and history are the same. I’ve heard Mormonism is history. I hear that phrase used. I cringe every time I hear that because then people say if the history’s different than I thought, then my faith is linked to that. GIVENS: Yeah, I see that both ways. I know that Grant McMurray, the president of the Reorganized Church, once said in Kirtland at a well-attended conference, he said, “History as theology is perilous.” I agree that it is in the way that you described, but I think there’s a middle ground that we have to stake out and maintain because I think Mormonism is history in the same way that Christianity is history. It’s predicated on a real historical event called the resurrection. That’s non-negotiable in the same way that some of the core fundamentals of Mormons are. But I think we’re on the same page when it comes to too much emphasis on a historical narrative as the blueprint of our faith. WAYMENT: Yeah. I mean, I guess in an example, resurrection is non-negotiable, I one hundred percent agree, but is resurrection on Sunday the absolute point? What if it were Monday? That’s what I feel I’m seeing. I watch—and maybe this is getting a little bit out of my area of expertise—I watch the confrontations among believing Mormons of where the Book of Mormon narrative took place, and to me I can’t see the value in that because I miss now the importance of the story itself. So having done religious studies there’s a whole value in text apart from its historical context. That’s what I think we can recover. GIVENS: Let me ask this. How did we come to where we are in terms of our theology of biblical interpretation? You go to the Catholic Church and you could find papal pronouncements and ex cathedra statements and magisteria, but we just have this kind of ad hoc theology. I’ll give you my view and then you critique it. My sense is that we have departed immensely from Joseph Smith’s pronouncements in this regard. The Book of Mormon itself begins with a set of expressions of biblical inadequacies, biblical insufficiency, biblical distortions and omissions, Joseph said one time much of the Bible is not in accord with the revelations of the Holy Spirit to me. 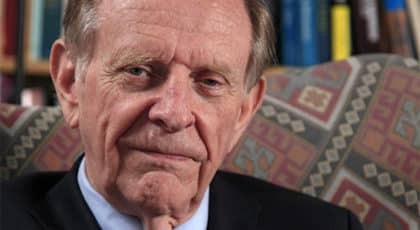 He deems the Bible Old and New Testament, so inadequately translated he sets out to remake the Bible through inspiration and scholarship alike. He continues to pour forth a stream of supplementary revelations that augment the biblical narrative, like the Book of Moses. Yet somehow between that era and the present we’ve almost acquired a kind of fundamentalist devotion to biblical literalism. How did that happen? Do you agree that’s a problem? WAYMENT: I like the way you’ve paraphrased it, or summarized this problem. I’m going to draw a little bit on my research of the Joseph Smith Translation. One of the things that’s happened even in the translation process I worked on is Joseph sees all text, in my opinion, as living text so that the Bible is drawn on in the Book of Mormon linguistically. I don’t think there’s any of him writing and the Bible open and him copying it. I really want to issue that. But Bible is coming through him and it comes into the Book of Mormon and it is in a sense rethought, engaged. That happens again in the Joseph Smith Translation, and it happens again in the Pearl of Great Price, and I think what that set up is a model that history and Bible are interpreted through prophetic means. I’m probably going out on a limb here and I want to be careful and just say for the record I’m a believer, the challenge becomes, are all prophetic statements then historical statements? I think there’s a stance among Latter-day Saint historians to be in a defensive posture of when a statement is made over the pulpit in Salt Lake about something that has historical implications, do I need to defend that? Do I need to find a historical situation to make that real? If somebody cites a Greek word and it’s a little different in the Greek, do I need to critique that? I really think we need to stop doing that. I think apostles exist as witnesses. I think Joseph Smith had this very vibrant view of faith. I don’t think Joseph made the claim, and I’m not a Joseph Smith scholar so correct me if I’m wrong, that “I am a historian prophet.” I don’t think that’s the fundamental of Joseph. I think what Joseph is saying is that religion is living and text is living, and I’m a participant, and that’s a very different thing to me. So I want—going back to what you said—I want history to remain intact. I want it to remain important, but I’d like Mormons not to be afraid of theology. I’d like them to engage text in other ways too. GIVENS: This has been a really rich, good conversation. I want to round it out with two questions I want to ask you. This immediate context aside, what do you think we as Latter-day Saints are doing well as a people? WAYMENT: You know, that’s a challenging question for me. Not because I don’t have examples, but kind of finding one that’s meaningful. One of the things that I think is still so powerful and vibrant about Mormonism is that God can interrupt time and space and testify and that there’s a sense of a Latter-day Saint can be touched by a spiritual moment in their life, and that enables to them to see. There’s a sense of conduit with God. I really like that. I guess the way I would say it in a more articulate way is that Mormonism was founded on a question. If that’s meaningful to me, even this far along in my academic training, my faith started with a question as Joseph’s did and so for that I think there’s a lot to offer. GIVENS: Good. What in your heart of hearts do you find yourself wishing we did better? WAYMENT: Wishing we did better. That’s a good question. I guess having finished the translation, I wish Paul were more part of our language of scripture. I think a lot of Christians exist as Pauline Christians, and I think Mormons exist like Catholics exists, a lot more as gospels Christians. Then you have your whole other subset of apocalyptic, and that sounds very simplistic, but Mormonism has the potential to engage all three and not be one or the other. Paul, I’m afraid, is just not as important in our everyday vocabulary the way we define faith, the way we categorize goodness from righteousness. I wish he were more a part of it. GIVENS: Would you say that Latter-day Saints tend to have a more scripture-centered practice than is often common in Christendom? But maybe with less critical openness and sophistication than we could have? WAYMENT: Yeah. Of course there will always be this issue, can we have more sophistication, and I am probably not as concerned at the moment with that. That’s an important point, but Latter-day Saints are doing a good job at having all of us read scripture. I wish there were more, sure, but that’s what I do for a living. The reality is we read a lot of scripture. That’s healthy. GIVENS: Last question. Krister Stendhal used the expression of holy envy. Of what faith tradition or practice outside of Mormonism do you have holy envy? WAYMENT: Maybe catch you a little off guard, I love public ritual. I love high church, and there’s a participation element sometimes outside of sacrament I think we miss. Temples are very private. There’s a great ritual structure. But the idea that we all participate in an ordinance is a little bit simplified in sacrament. It’s quick, it’s done at the first part of the meeting and we move on. I like the concept of, if you will, high church. GIVENS: Well you’re speaking to somebody here who sure speaks that language. I’m married to a Catholic. I can’t help but have come to appreciate what she has left behind and feels a longing for. We celebrate Christmas every year, we open our Christmas season by attending the lessons and carols service at the University of Richmond. It’s a candlelight service where it’s concluded with everyone in the congregation joining in a hymn and raising their candle. There’s something so magnificent about that collective gesture of worship and celebration. WAYMENT: It brings your Old Testament back. Ritual is the center of the faith, and now we’re participants again. GIVENS: Well, Thom, thanks for being with us today. WAYMENT: Thanks for having me. GIVENS: I have to say that I’ve known you for a number of years, and I’ve always admired you as one of the most judicious and wisest voices in the area of scriptural commentary and thoughtfulness. WAYMENT: Thanks. I appreciate that.